The island state of Hawaii has been battered by an “unprecedented” weather event which has brought 191-mph gusts, snow storms, waves as high as 40 feet (12.19 meters), widespread power outages, and at least one fatality. The low pressure system began hammering the islands on Friday, with damaging winds combining with already choppy seas to create massive waves and, in turn, coastal flooding. A 66-year-old man died in the rough surf off Maui on Friday. “[Forecasters] are calling this an unprecedented event and we concur that we rarely if ever have seen the combination of record high on-shore waves, coupled with gale force winds,” said Sam Lemmo, administrator of Hawaii’s Department of Land and Natural Resources. 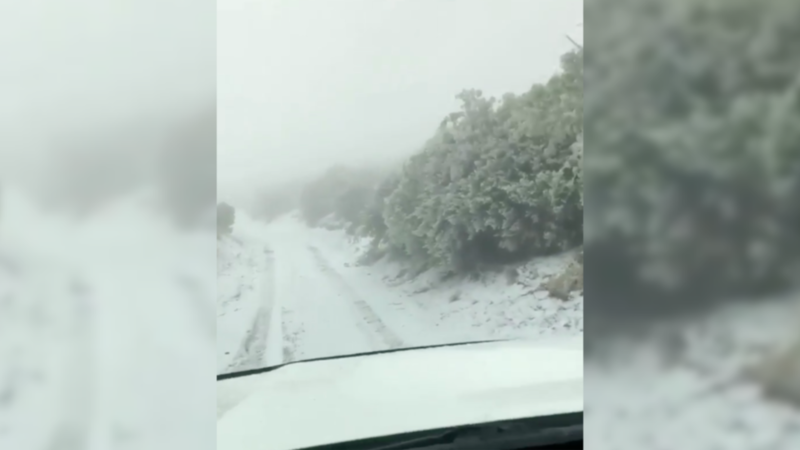 Several inches of snow fell on Haleakalā, a shield volcano in East Maui, which many stunned locals captured on eyewitness video. Maui’s Polipoli State Park, at an elevation of just 6,200 feet, was rendered an arctic snowscape by the unusually low temperatures. Some commenters got a little carried away with the snow hype, however. Wave heights approached 40 feet (12.19 meters) in certain areas of the Hawaiian coastline, which unfortunately proved fatal for one California surfer. Over the weekend, 27,000 Maui Electric customers were temporarily left without power as the storm wreaked havoc on the grid. Sailboats were also blown ashore and displaced within various harbors across the Aloha State. The 27-foot sailboat pictured below broke free from its mooring at Lahaina Small Boat Harbor.